America’s Next Top Model (ANTM) begins tonight in the house with the 14 top models discussing how excited they are but a little nervous about what is to come. The TV goes off with a Rita Alert, and all the girls gather in the living room. Rita Ora announces that she is sending the girls to a runway boot camp and their coach will be supermodel Stacey McKenzie. She wishes them luck and they are off. They arrive in Harlem where they meet Stacey. She says that mastering the runway is one of the most important things a model can do, and Rita told her they need help with it, so she is going to show them how it is done. She has brought voguers from the House of Mugler to help her inspire the models; they are also there to help her judge their walks. She creates two squads to battle it off in a walk off. Stacey says tomorrow they are doing their first major runway show and the winning squad is going to get extra help from Stacey who will come over to help them get runway ready. Stacey and the voguers show the girls how it is done. Cory Anne vs Tatiana. Paige vs. Cody. Binta vs India. Tash vs Marissa. Courtney vs Cherish. Giah vs Krislian. Kyle vs Justine. Stacey says they made the competition difficult but Squad 1 wins. She sends them home with a bit of advice, the house has a built-in runway, she tells them to use it and practice. Back at the house, Paige has questions admitting that she grew up in a privileged world, that didn’t have a lot of diversity. They are discussing Black Lives Matters, and the discussion gets a little heated when Binta tells the girls that all the black people come from Africa. Paige says she did start the conversation but she didn’t think it would get so heated. Some of them admit they are afraid of Binta. Marissa in with the confessional camera where she says they don’t identify with the Africans because their families have been in America so long they just call themselves Black Americans. Binta has a very strong personality, and it turns some of the models off. Stacey arrives at the house and Giah says the house is divided and the energy is off. Stacey calls them all and tells them there are 3 Bs they are working on right now: Boss, Business and Brand; she says she is going to add another B for Believe. She tells them they need to believe in themselves. Stacey tells them about her modeling experience and how she was inspired by a picture she saw of Madonna with fashion-designer Jean-Paul Gaultier. After Canada and the U.S. rejected her, she went to Paris and an agency accepted her. When the owner of the agency came back to the country, she was at the dinner with him in a dollar dress and a pair of shoes costing her a dollar. The owner made fun of her and told her she was hideous, she was broken but refused to let them see her hurt. She went to one last agency and decided if they rejected her, she would know modeling wasn’t for her. The meeting went okay, she had a bit of an attitude but the agent told her to be there the next morning and not be late. When she arrived, it was modeling for Jean-Paul Gaultier, the same man she saw in the picture who inspired her to do this in the first place. Madonna was in the show with her, and even told her she wanted her legs. Stacey encourages them that they have the opportunity of a lifetime. Tash says that once they had the pep talk with Stacey, the mood in the house changed. She then brings squad 1 outside for the runway practice on the back patio. Squad 2 sits in the window watching to see if they can receive any tips; she leaves with words of confidence. The models arrive at the Marquee, where they meet Drew Elliott who is telling them about the show tonight. He informs them that its not a regular runway show, they are to literally go into their photoshoot straight from the runway; walk down the runway, do their turn then fall into the arms of the guys waiting there, who will carry them. Pieter Henket will be taking their photos from above. Drew tells them to head off to hair and makeup and he will see them soon. Binta is upset when they are backstage and Paige is picking up the outfits and not putting them back where they belong saying she could get fired for that. Law Roach arrives and tells them he is going to treat them the same as he would his favorite client, Zendaya. When the models turn around she is there as well, the models are very excited to meet her. Law informs them that everything tonight was inspired by Zendaya. She says he was her first and only stylist and he understands her. She loves to be bold and be herself, she encourages the models to do the same. Law tells them that whoever does it the best is going to get a photo taken with Zendaya and she will post on social media; Zendaya is the one who will decide who it will be. After the runway show and photo shoot is done, Zendaya announces that Kyle is the one who stood out the most and looked like a boss. Kyle admits that she has no followers and now that Zendaya sent that picture, she is sure she will have a few hundred thousand now. Everyone says goodbye and they head back to the house. Binta and Giah are in the kitchen with Kyle and Paige, where Binta says that Paige shouldn’t have gone through all the stylist’s clothes and Giah says that a lot of the models did things over the top and it was embarrassing, even to her. Giah said if this were a real situation, touching all of that clothing, they would have been dropped so fast. Paige gets offensive and says she is just an “extra” person and she isn’t going to tone it down for anyone. Paige leaves to avoid confrontation. The models are discussing panel for tomorrow. Krislian says she is nervous and CoryAnne says she doesn’t want to be the first to go home and let down her mom. Justine doesn’t think she did good enough. Paige asks Kyle if she was too “extra” today? Kyle says she was in her own world and didn’t notice. Marissa came in and told Paige not to change a thing, but to the confessional camera she said Paige is sweet, but she is not top model material. 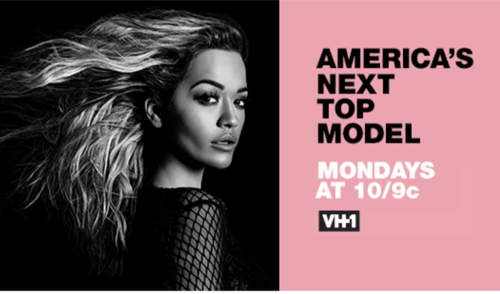 America’s Next Top Model returns to the panel. Judges Ashley Graham, Law Roach and Drew Elliott are there while Rita Ora hosts. Most of the models are getting great critics but when Justine comes up, they call her a fish flailing. She couldn’t keep her legs closed or follow directions. Cherish was also told her picture was not good at all. Law tells CoryAnne to not let her legacy be the reason she leaves the competition. Krislian is told that they don’t see a super model in her photo; Law tells her not to make any excuses to take the critique. Cody is crying as she is the last model up for the panel. Rita tells her sister Tash to hug her. Cody feels that her whole life has been over shadowed by her twin sister, but she is told its her time to shine. The judges discuss the models. The first model they don’t like was CoryAnne. Krislian is not Drew’s favorite, he even admits that he would never work with her again. Justine is brought up and Rita admits she was disappointed in her, she may be the youngest one but she was not very good. Rita asks the panel if they are one hundred percent sure. Rita calls Cody forward for winning the best photo. The two remaining models are CoryAnne and Justine. Rita tells CoryAnne that they have high hopes for her being that she comes from a super model mom, but she needs to be more than her legacy. She turns to Justine and tells her she is young and beautiful, but her photograph for this week was very elementary. Rita says she wants her to do so much better. Rita gives CoryAnne her photo telling her she gets to stay, that she has so much potential and to be that beautiful girl she can see. Justin is crying and Rita gives her a hug, telling her that she is young and when she was 18, she was only selling sneakers. She tells her to be proud of herself, that she has so much to offer to the world.